The functioning of complex forest ecosystems is intimately related to their structural properties. Tree mortality is a major driver of forest stand dynamics and therefore plays an important role in the formation of forest structure. Data from the Estonian Network of Forest Research Plots (ENFRP) was used to estimate the mortality probability of silver birch trees (Betula pendula Roth) by using logistic models. In this study several spatial and non-spatial variables were tested to determine the most important mortality explanatory factors. Additionally, thinning variables were defined and implemented into the mortality models, to examine whether thinning practices could modify the stand structure and density, then leading to a lower mortality rate. The results of this study showed that tree mortality models that included either a five-year diameter growth rate (id5) as a measure of tree vitality, or the tree relative diameter (drel) as a measure of competition, or both these two variables, were substantially better than any models not including these variables. In addition, any measures of spatial aggregation (agg) and species proportion (sp) within the zone of influence markedly improved the model predictions, though the mortality probability of trees declined where there was higher aggregation and species mixture. Our results also suggested that if thinning were conducted around the birch trees, depending on the thinning intensity, the number of neighbors is effectively reduced, and consequently the competition load within the influence zone decreases, leading to healthier growth and lower mortality rates of the shade-intolerant birch trees. We thus recommend to adopt thinning regimes in mixed forest stands to foster tree species diversity, and at the same time provide adequate growing space for birch trees within the stands. This will improve the forest structure and increase the adaptive capacity of forests, which is increasingly important under changing climatic conditions. An analysis of spatial structure using neighbourhood based variables. Forest Ecology and Management 183: 137-145. Growth patterns prior to mortality of mature Abies lasiocarpa in old-growth subalpine forests of southern British Columbia. Forest Ecology and Management 255: 1568-1574. Modelling survival of loblolly pine trees in thinned and unthinned plantations. Canadian Journal of Forest Research 22: 1878-1882. Impact of competitor species composition on predicting diameter growth and survival rates of Douglas-fir trees in south western Oregon. Canadian Journal of Forest Research 31: 2237-2247. Competition-induced mortality for Mediterranean Pinus pinaster Ait. and P. sylvestris L. Forest Ecology and Management 222: 88-98. Age and spatial structure of natural Pinus sylvestris stands in Latvia. Scandinavian Journal of Forest Research 20: 471-480. Survival predictions for major lake states tree species. Research Paper NC-233, North Central Forest Experimental Station, USDA Forest Service. St. Paul, MN, USA, pp. 7. Mortality models for mountain and alpine ash. Forest Ecology and Management 67: 319-327. Modelling forest trees and stands. Springer, Dordrecht, The Netherlands, pp. 458. Model selection and multi-model inference: a practical information-theoretic approach. Springer Verlag, New York, USA, pp. 488. Interspecific variation in susceptibility to windthrow as a function of tree size and storm severity for northern temperate tree species. Canadian Journal of Forest Research 31: 1-10. Competition within stands of Picea itchensis and Pinus contorta. Annals of Botany 53: 349-362. Elevated mortality of residual trees following single-tree felling in northern hardwood forests. Canadian Journal of Forest Research 36: 1255-1265. Distance to nearest neighbour as a measure of spatial relationships in populations. Ecology 35: 445-453. Assessing the growth of tropical rain forest trees: issues for forest modeling and management. Ecological Applications 9: 981-997. On the role of natural enemies in preventing competitive exclusion in some marine animals and in rain forest trees. In: “Dynamics of Population” (Den Boer PJ, Gradwell GR eds). Centre for Agricultural Publishing and Documentation, Wageningen, The Netherlands, pp. 298-312. Mortality and tree-size distributions in natural mixed-age forests. Journal of Ecology 95: 27-40. The relationship between tree growth patterns and likelihood of mortality: a study of two tree species in the Sierra Nevada. Canadian Journal of Forest Research 37: 580-597. Spatial elements of mortality risk in old-growth forests. Ecology 89: 1744-1756. The contribution of competition to tree mortality in old-growth coniferous forests. Forest Ecology and Management 261: 1203-1213. Improving estimates of tree mortality probability using potential growth rate. Canadian Journal of Forest Research 45: 920-928. 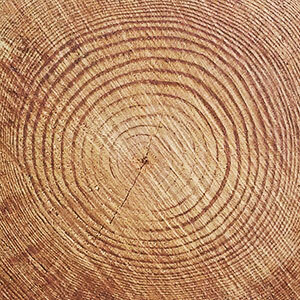 Tree mortality in the eastern and central United States: patterns and drivers. Global Change Biology 17: 3312-3326. Bioclimate and growth history affect beech lifespan in the Italian Alps and Apennines. Global Change Biology 18: 960-972. Some recent Japanese theories of yield density relationships and their application to Monterey pine plantations. Forest Science 23: 517-534. Spatial pattern and process in forest stands within the Virginia piedmont. Journal of Vegetation Science 16: 37-48. An introduction to ROC analysis. Pattern Recognition Letters 27: 861-874. Predicting individual tree mortality in northern hardwood stands under uneven-aged management in southern Québec, Canada. Annals of Forest Science 65: 1-11. Spatial aspects of structural complexity in old-growth forests. Journal of Forestry 102: 22-28. Demographics and disturbance history of a boreal old-growth Picea abies forest. Journal of Vegetation Science 19: 789-798. Asymmetric competition between plant species. Functional Ecology 15: 615-623. Forest disturbance and recovery - A general review in the context of space-borne remote sensing of impacts on aboveground biomass and canopy structure. Journal of Geophysical Research 114: G00E02. Potential density and tree survival: an analysis based on South African spacing studies, Southern Forests: a Journal of Forest Science 77:1-8. Are pine plantations valid tools for restoring Mediterranean forests? An assessment along abiotic and biotic gradients. Ecological Applications 19: 2124-2141. A two-step mortality model for even-aged stands of Pinus radiata D Don in Galicia (Northwestern Spain). Annals of Forest Science 61: 439-448. A logistic model of mortality in thinned and unthinned mixed conifer stands of Northern Idaho. Forest Science 32: 989-1000. Density-dependent effects on tree survival in an old-growth Douglas fir. Forest Ecology 88: 676-688. A simulation model for managing jack pine stands, In: Proceedings of the IUFRO Meeting S4.01.04 “Growth Models for Tree and Stand Simulation” (Fries J ed). Royal College of Forestry, Stockholm, Sweden, pp. 74-90. Applied logistic regression (2nd edn). John Wiley & Sons, New York, USA, pp. 375. Self-thinning models for even-aged stands of Pinus sylvestris, Picea abies and Betula pendula. Scandinavian Journal of Forest Research 8: 326-336. Silviculture of birch (Betula pendula Roth and Betula pubescens Ehrh.) in northern Europe. Forestry 83: 103-119. The effects of species mixture on the growth and yield of mid-rotation mixed stands of Scots pine and silver birch. Forest Ecology and Management 262: 1174-1183. Slow lifelong growth predisposes Populus tremuloides trees to mortality. Oecologia 175: 847-859. Herbivores and the number of tree species in tropical forests. American Naturalist 104: 501-508. Spatial patterns of trees and structuring factors in a trachypogon savanna of the Orinoco Llanos. Biotropica 23: 14-123. Eighteen years of tree mortality and structural change in an experimentally fragmented Norway spruce forest. Forest Ecology and Management 242: 306-313. A basal area increment model for Norway spruce in mixed stands in Estonia. Scandinavian Journal of Forest Research 15: 97-102. Effects of competition from shrubs on herbaceous wetland plants: a four year field experiment. Canadian Journal of Botany 67: 708-716. Pattern of self-thinning in jack pine: testing the random mortality hypothesis. Ecology 69: 1017-1024. Monitoring and modeling of forest ecosystems: the Estonian Network of Forest Research Plots. Forestry studies (Metsanduslikud uurimused) 62: 26-38. Evaluation of sampling methods for the estimation of structural indices in forest stands. Ecological Modelling 180: 461-476. Intraspecific variation in sapling mortality and growth predicts geographic variation in forest composition. Ecological Monograph 66: 181-201. Analysis of forest naturalness and tree mortality patterns in Estonia. Forest Ecology and Management 258: S187-S195. Tree mortality agents in pristine Norway spruce forests in northern Fennoscandia. Silva Fennica 42: 151-163. Spatial forest structure reconstruction as a strategy for mitigating edge-bias in circular monitoring plots. Forest Ecology and Management 316: 47-53. Tree mortality rates and longevity in mature and old-growth hemlock-hardwood forests. Journal of Ecology 89: 960-971. Analysis of individual tree competition on diameter growth of silver birch in Estonia. Forest Systems 24: 2. Spatial models of competition and gap dynamics in old-growth Tsuga heterophylla - Thuja plicata forests. Forest Ecology and Management 94: 175-186. Simulation of forest tree mortality. Forest Science 22: 438-444. Modelling individual tree mortality for Austrian forest species. Forest Ecology and Management 113: 109-123. Are self-thinning constraints needed in a tree-specific mortality model? Forest Science 50: 848-858. Allomeetria võrrandi N = aDb ja võrrandi N = (a + bD)-2 sobivusest puude arvu N ja nende keskmise diameetri D seose kirjeldamiseks metsa kasvukäigu tabelites [Fitness of allometric equation N = aDb and equation N = (a + bD)-2 for modelling the dependence of the number of trees N on their mean diameter D in yield tables]. Forestry studies 43: 159-172. Modelling dependence between the number of trees and mean tree diameter of stand, stand density and stand sparsity. In: Proceedings of the “2nd International Conference on Forest Measurements and Quantitative Methods and Management & The 2004 Southern Mensurationists Meeting” (Cieszewski CJ, Strub M eds). Hot Springs (AR, USA) 15-18 Jun 2004. Warnell School of Forestry and Natural Resources, University of Georgia, GA, USA, pp. 74-94. Careful logging in northern hardwoods. In: “Logging damage: the problems and practical solutions” (Rice JA ed). Forest Research Report 117, Ministry of Natural Resources, Ontario, Canada, pp. 29-51. Why and where do adult trees die in a young secondary temperate forest? The role of neighbourhood. Annals of Forest Science 66: 105. The role of stress in the mortality of Midwestern oaks as indicated by growth prior to death. Ecology 79: 79-93. The competition process in forest stands. In: “Attributes of Trees as Crop Plants. Institute of Terrestrial Ecology” (Cannell MGR, Jackson JE eds). Abbots Ripton, Hunts, UK, pp. 481-506. Thinning method and intensity influence long-term mortality trends in a red pine forest. Forest Ecology and Management 260: 1138-1148. Perfecting a stand density index for even-aged forests. Journal of Agricultural Research 46: 627-638. Spatial statistics. John Wiley and Sons, New York, USA, pp. 255. Pre-commercial thinning effects on growth, yield and mortality in even-aged paper birch stands in British Columbia. Forest Ecology and Management 190: 163-178. Estimating tree survival: a study based on the Estonian Forest Research Plots Network. Annales Botanici Fennici 46: 336-352. Distance-dependent competition measures for eucalyptus plantations in Portugal. Annals of Forest Science 56: 307-319. Growth and spacing in an even-aged stand of Douglas-fir. Master’s thesis, University of Michigan, Ann Arbor, MI, USA, pp. 46. Tree mortality and effects of release from competition in an old-growth Fagus-Abies-Picea stand. Journal of Vegetation Science 12: 621-626. Individual tree models for the crown biomass distribution of Scots pine, Norway spruce and birch in Finland. Forest Ecology and Management 255: 455-467. An individual-tree mortality model for complex stands of south-eastern British Columbia. Western Journal of Applied Forestry 20: 101-109. Tree mortality following partial harvests is determined by skidding proximity. Ecological Applications 18: 1652-1663. A neighbourhood analysis of tree growth and survival in a hurricane-driven tropical forest. Ecological Monographs 74: 591-614. Modelling forest growth and yield. Applications to mixed tropical forests. CAB International, Wallingford, UK, pp. 312. Apparent climatically induced increase of tree mortality rates in a temperate forest. Ecology Letters 10: 909-916. AIC model selection using Akaike weights. Psychonomic Bulletin and Review 11: 192-196. Characteristics of trees predisposed to die. Bioscience 37: 569-577. Predicting tree mortality from diameter growth: a comparison of maximum likelihood and Bayesian approaches. Canadian Journal of Forest Research 30: 156-167. User’s guide to the Stand Prognosis Model. Gen. Tech. Rep. INT-133, Intermountain Forest and Range Experiment Station, USDA Forest Service, MN, USA, pp. 112. Modelling individual tree mortality for white spruce in Alberta. Ecological Modelling 163: 209-222. Analysis of the 3/2 power law of self-thinning. Forest Science 33: 517-537.